Vince Wilfork, formerly of the New England Patriots have reached a 2-year $9 million contract with the Houston Texans. The signing of Wilfork is a huge signing literally and figuratively for the Texans as they upgrade their nose tackle position while improving their locker room with a veteran leader. The deal is worth $5 million in guaranteed money which proves that at 33-years-old Wilfork still remains an important commodity to a team. Although Wilfork is not the pocket pushing player he once was in his prime he is still considered one of the best run stuffing defensive lineman in the league, grading out as a top six run defending 3-4 lineman according to Pro Football Focus. Wilfork reunites with his old defensive coordinator in New England, Romeo Crennel and head coach Bill O’Brien who also has Patriot ties. 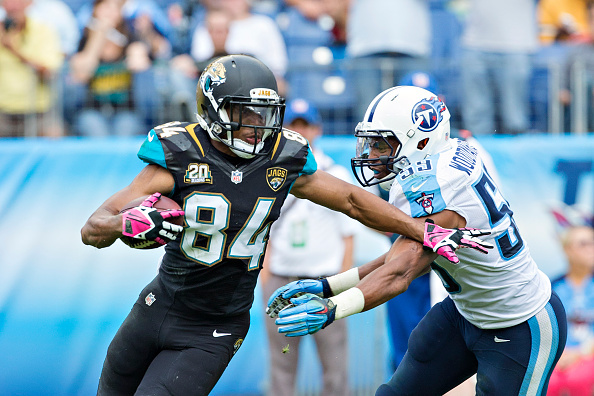 The Texans also added wide receiver Cecil Shorts III by signing him to a 2-year $6 million dollar deal. Shorts burst on the scene in Jacksonville during the 2012 season with a 55/979/7 line with a healthy 17.8 ypc average demonstrating the ability to play outside the numbers and in the slot. However, numerous soft tissue injuries and sketchy quarterback play torpedoed Shorts’ ascent. For now he should be considered the #2 in Houston but in a wide receiver rich draft class, expect Houston to add more talent to the position.